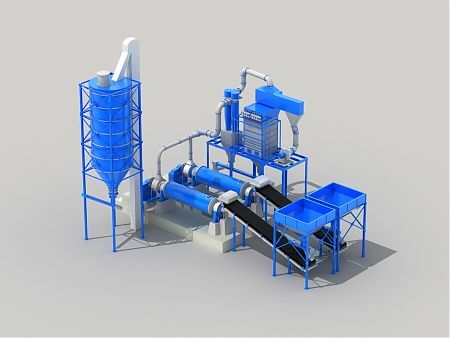 Technological complexes (grinding equipment) are designed for lime-stone grinding (lime equipment) and all types of inert materials, construction rocks and other granular materials (for example: sand, gravel, ore, slag, broken stone, gypsum stone, lime-stone, dolomite as well as glass, ferrous alloy, chips and many others. Supply of finished product to storage. summarized consumed power – up to 330 kW/hour. 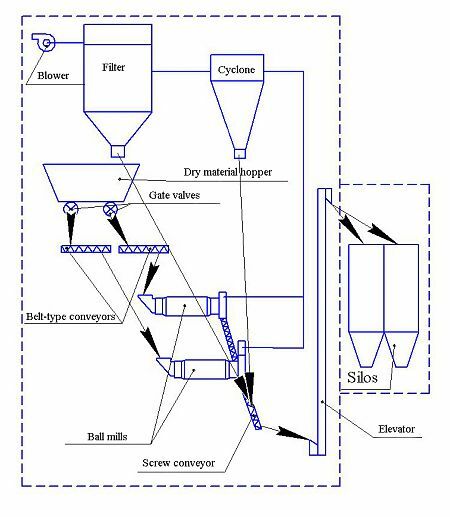 * Technological complex capacity depends on raw material hardness. When selecting the equipment for material grinding, hardness, initial fraction sizes and grinding fineness shall be taken into consideration. belt elevator ELG-320, height - 20 m.
Delivery set varies as well as the lengths of transporting equipment are recalculated depending on targets set by the customer and territorial conditions for placing the technological complex.